A professional appearance is important to your ability to accomplish your mission. People respond better when they know you have authority. 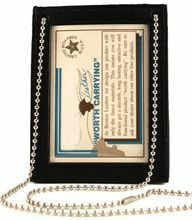 No better way to show authority than to house your credentials in a top grain leather badge case displayed prominently around your neck.